"Any rogue can craft a spell - but it takes a really reckless fool to write one down." * New spells from mages such as Daltim, Darsson, and Myrl. * Fell creatures - the Tome Guardian, the Disenchanter, and the Scalamagdrion. 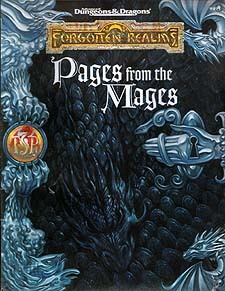 * Details of more than 40 spellbooks - appearance, history, the magic they contain, and what is known of the fates of their makers. * And just for fun - Elminster's very own travelling spellbook.